After Binh Duong is home to VND100 million, Vung Tau City and Long An Province are preparing to launch houses worth VND100-200 million. In early 2017, Binh Duong officially put into operation the residential area costing 100 million dong for workers next to the provincial administration. Long An also announced that VND198 million/ houses, Ba Ria Vung Tau also planned to build in the earliest time. Recently, a real estate company in Long An said that it is building about 800 houses in society with the price of VND 198 million / apartment 30sqm in Duc Hoa district, Long An province. The project is built on 48 hectares of land, the legal steps are being implemented by the company. When the province approves the company will do immediately and within 6 months will be completed and put into use. The project has full facilities for residents such as swimming pool, park, entertainment area, school … To implement this project, the company invested a production line of non-baked brick. This is a model that Long An learned from Binh Duong about the construction of cheap housing to serve workers because of the number of workers in this province is also very much and the demand for large housing. Only Duc Hoa district (where the project was built) has 6 industrial zones, with about 40,000 workers. “The demand for social housing in Long An is very large, and the model of social housing in Binh Duong is very good for Long An,” said Luu Dinh Tan, Director of Long An Department of Construction. However, it is necessary to study and improve some points suitable for Long An, as the area of ​​each apartment can be adjusted to increase a little more for people to live more comfortable. Ba Ria – Vung Tau is also launching a program of affordable housing. 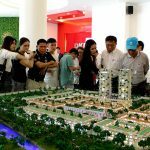 Last November 10, at the investment promotion conference in this locality, the provincial leaders also said that will build about 1,000 apartments for officials and low-income people in the area. 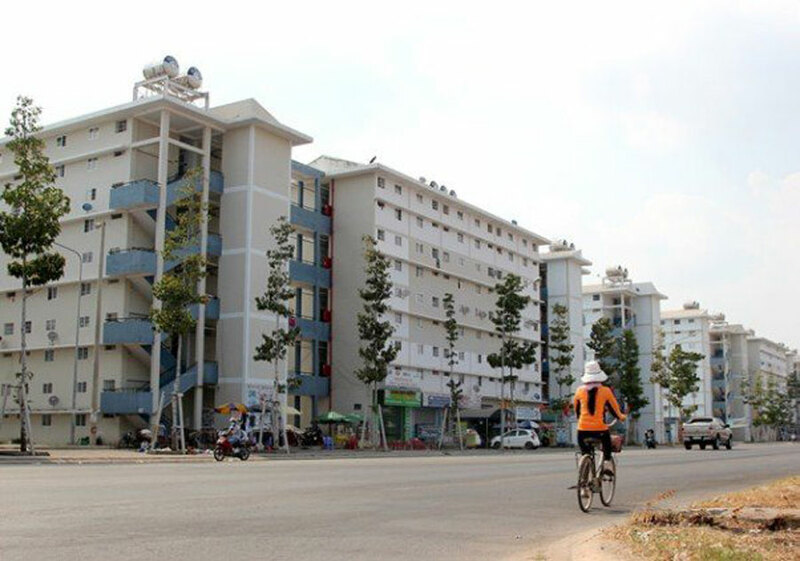 According to Ba Ria – Vung Tau provincial People’s Committee, over the past years, from the state budget, Ba Ria-Vung Tau province has completed and put into use 1423 residential social housing. In addition, the non-budgetary capital also builds about 1,900 units, of which enterprises in industrial parks invested 1,711 units, meeting about 5,000 workers with stable housing; Real estate businesses built around 176 apartments serving mainly for low-income people in urban areas. At this conference, the province announced a number of land areas have completed site clearance work to call and select capable investors of implementing the project, to create the effect of promoting housing development local society. 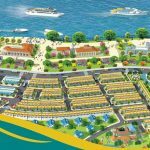 According to the plan, Ba Ria-Vung Tau Province will strive to deploy around 26 projects, with an area of ​​89.7ha, with a total of 10,813 units by 2020, with a total floor area of ​​961,313 sqm; The main source of funding is in the form of socialization, state budget support for site clearance and land allocation for investors implementing the project. Estimated total cost of implementation is about VND 6,552 billion, of which the investment capital of construction companies is VND 6,397 billion and state support for ground clearance is VND155.6 billion. 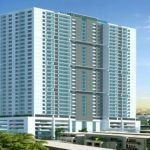 You are reading the article Long An, Vung Tau will soon have a house for VND200 million in the Real Estate category at https://realestatevietnam.com.vn/. Any information sharing, feedback please contact through Hotline 0909890897 (24/7) or email to info@realestatevietnam.com.vn.